This is gonna sound really weird, but I think Richard would've made a great James Potter (even if it's only a minor role) because I think he looks so much like an older Daniel Radcliffe. What about Hermione Norris? She was also in Spooks. Armitage with a Snape-cut and brown contacts. Mmmmmmm. Yeah. Love the idea of Armitage as Snape, but how about Michael Fassbender as Snape? I can see it. Lena Headey as Narcissa Malfoy, I mean heck just see her as Queen Cersei and she's already got the look down pat. Mark Strong definitely should have been in the series. Maybe not as Yaxley but he definitely would have made a great death eater. First, I'd bring James and Lily Potter down to their actual age. I'm going to go with Landon Liboiron for James and Rachel Hurd-Wood for Lily. I think, with some tweaking in make-up, they can easily play both teenage and adult Lily and James. Also, I like to imagine child Lily as the little girl from The Time Traveler's Wife. Brooklyn Proulx is the actress's name. For Sirius, I think Ian Somerhalder looks very much the role. He could easily play both pre-Azkaban and post-Azkaban Sirius. Not sure about the acting, though. I don't like recasting Dan because he's sort of become Harry Potter but, if I could, I'd inject something to make him grow taller. I cannot think of any other person to take the place of Dame Maggie Smith. The first actress that springs to mind that has the gravitas to play McGonagall is another Dame, Judi Dench. And I can't think of anybody in particular, but somebody, anybody else to play young Tom Riddle in HBP. I got a curve-ball for ya. Albus Dumbledore ........ Morgan Freeman. It was the suggestion about Christopher Plummer that got me wondering, I checked out some more recent pics of him and in one he looked just like a white Morgan Freeman. Last edited by Peakes; July 1st, 2012 at 12:46 pm. Stop the press. I just found Hagrid. Last edited by LoveAlways; July 1st, 2012 at 4:26 pm. Give him Dumbledore's robe and beard and I think we'd be well on our way! Last edited by yorkiedoodle; July 2nd, 2012 at 9:55 am. I could see Brain Cox as Mad Eye Moody. I don't mean the physicist, but Brain Cox the actor. 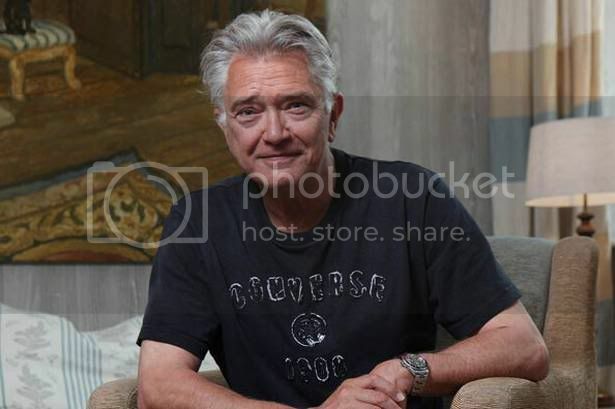 I'm with Martin Shaw for Dumbledore, he'd be great. It's easier with naming the adults but hard looking for another "Harry".